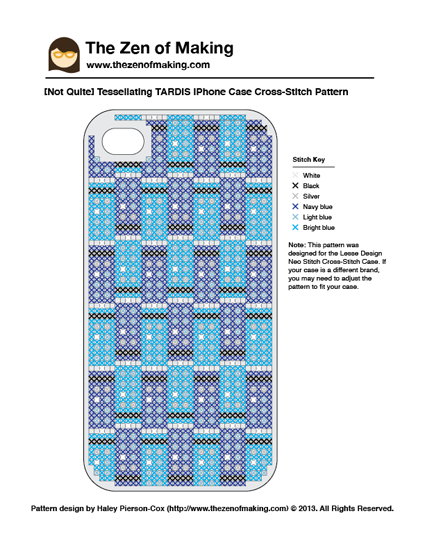 Geek crafts get a little more grown up with my new Doctor Who-inspired [not quite] Tessellating TARDIS iPhone Case Cross-Stitch Pattern with printable PDF template!  Disclosure: Please note that the links for embroidery floss and embroidery scissors that are provided below are affiliate links. I will be compensated if you choose to make a purchase after clicking through. 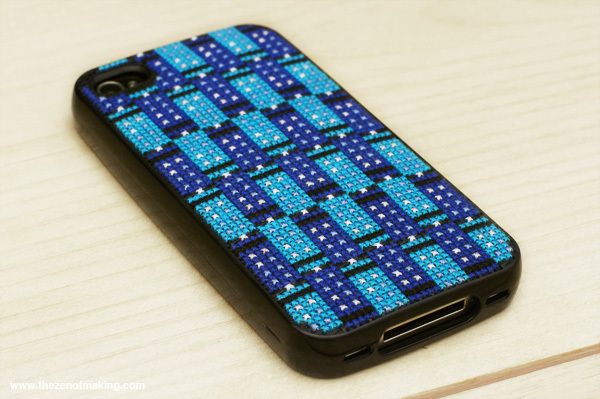 Grab your cross-stitch iPhone case, then download my free Doctor Who-inspired Tessellating TARDIS iPhone Case Cross-Stitch Pattern PDF here! Here’s a closer look at the TARDIS pattern repeat and the stitching. I love me some teeny tiny blue boxes, don’t you? What do you think: When my fingers recover, should I do Daleks next? 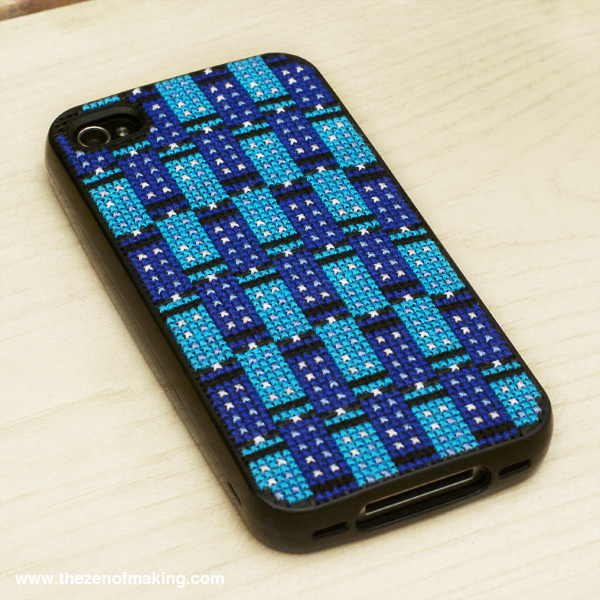 ** Please note that this pattern was designed for the Lesse Design Neo Stitch Cross-Stitch iPhone Case. If your case is a different brand or for a different kind of phone, you may need to adjust the pattern to fit your case. Where can i buy iphone case that can be cross stitched? I absolutely love your designs! I’m anxious to see if you created a Dalek one. I love this pattern and think it’s such a fun pattern! Great gift idea too!